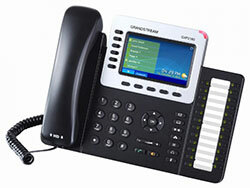 Johnson Telecommunications has the best phone systems available for small to medium sized businesses and organizations. We offer a good variety of systems to choose from. Our systems offer all of the latest advanced features such as caller id, conference calling, call record, VoIP, wireless extensions, headsets, etc. We are evolving and converging all of our different technologies today, voice, data, and video applications. With On-Premise & Hosted choices? Smart Phones, POTS Lines, WiFi, DSL, Cable, VoIP, IP Video, T1, SIP ….. and so on. Johnson Telecommunications will help you work through it all to make your Networked World the best it can be. We know our industry and our products, let us help make technology work for you and your organization. We can customize a business communication solution for you. An office phone number can be set to ring the phone at your desk and your smart phone at the same time. This is great for real estate agents, sales agents on the road, or service individuals that just don’t want to miss that important call. Voice mail left at your office phone can be set to email you the message so you can retrieve it anywhere with your smart phone or computer. Extensions of your office phone system can be set up in remote locations, like a home office, branch office across town or across the country. These locations would be one touch of a button away and no cost to talk to them. 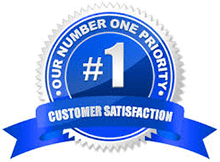 We are manufacturer-trained on the systems we sell, and offer continued technical support after the sale.